Alan’s two oldest sons—Robin and Brennan—have been fighting his third wife, Tanya Callau Thicke, for almost two years. Robin and Brennan—who are co-trustees of their late father’s estate—sought clarification of conflicting terms in Alan’s living trust and a prenuptial agreement he and Tanya signed before getting married. At issue was the division of Alan’s $3.5 million ranch in Carpinteria, where he and Tanya lived. The prenup states that Tanya would get 25% of his net estate, including a five-acre parcel of the ranch property. However, the trust—last updated in 2016—doesn’t grant her any ownership of the ranch, only the right to live there provided she pays all of the expenses. 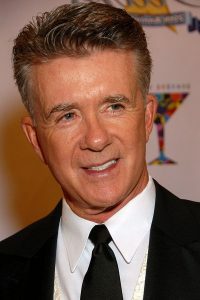 Robin and Brennan’s petition alleged that Tanya demanded a larger portion of Alan’s estate than she was allocated in the trust and that she planned to contest the validity of the prenuptial agreement. Tanya claimed her stepsons’ legal claim was merely aimed at smearing her in the media, and she never had any intention of challenging the prenup. Other reports allege the petition was retaliation for Tanya’s refusal to allow the brothers to convert the ranch into a medical marijuana farm. Second, even with a trust in place, it’s vital the document is regularly updated to ensure it’s current and doesn’t conflict with other legal agreements, like the prenup in this case. Please contact us now if your plan has not been reviewed or updated within the past year. Finally, the case demonstrates that a trust won’t stay private if the heirs have a conflict that results in court proceedings. One of a trust’s key benefits is that it keeps the contents of the estate confidential. But if a dispute ends up in court, the estate documents can be made public, exposing not only your assets, but all of your family’s “dirty laundry” as well.